Apple (finally) getting its game on? The official story: Apple had not returned requests for comment as of press time. What we heard: Of all the products on the market, few engender as much fanatical loyalty as the iPod. Sony was clearly hoping for something similar when it introduced the sleek PSP last March, touting the fact it played games and video, while the iPod didn't. 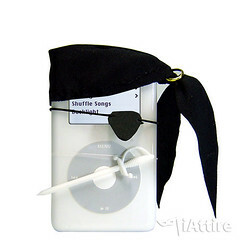 Last October, Apple removed one of those advantages when it launched the fifth-generation video iPods. Since then, speculation has swirled that the Silicon Valley company is readying an iPod which could play things other than Brick and Parachute, two of the rudimentary games which come on the ubiquitous handhelds.